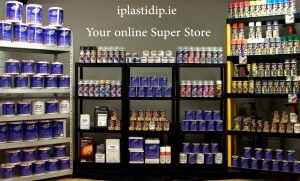 Welcome to our Shop Ireland’s Plasti Dip & Full Dip Super Store. Here you will find a simple clutter free menu to guide you to all our dip products and accessories. 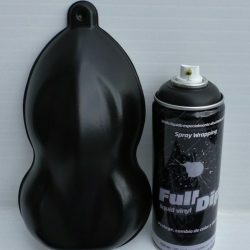 What is Full Dip, its a Liquid Vinyl rubber protective paint just like plasti dip. 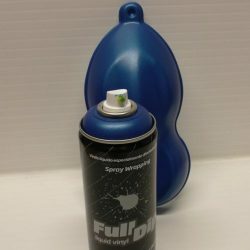 You can use Full Dip as a spray on vinyl wrap for cars, bikes , hobby stuff, arts, Cosplay and crafts. 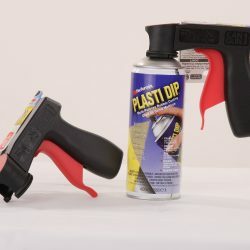 Works in similar ways to plasti Dip USA. Its as good if not better, smooth finish, ten year life span, very good price and made in Europe. Excellent Customer service. Best Prices. Great Deals. 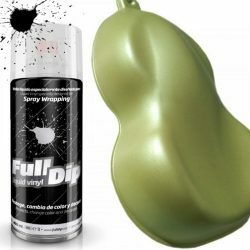 Excellent Full Dip & Plasti dip product selection. 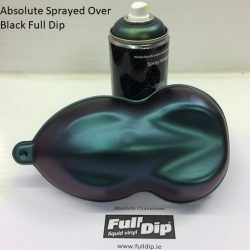 Thank you for visiting our website, We are really excited about our plastidip & full dip products and We hope that you find as much fun and satisfaction with your dip projects as we do. Wrap protect and change the colour of your project. Liquid vinyl spray, tough, elastic, durable film that's removable. 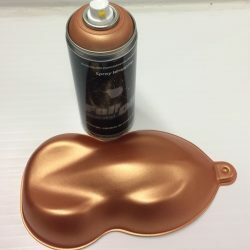 Works with Plasti dip. 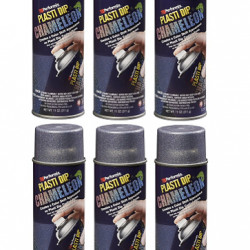 Also use for base coats with plasti dip metalizers and chameleon colours. 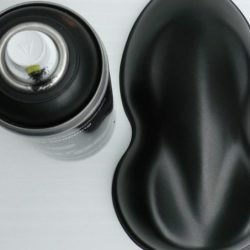 Used with Plasti dip with good results. 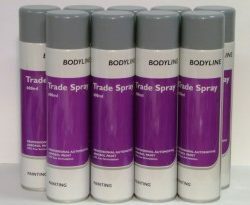 Bodyline Trade spray Grey Primer paint 600 ml aerosol can. 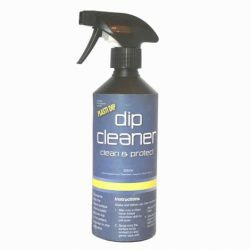 Dip Cleaner is specially formulated as a waterless wash and surface protector for use with Plasti Dip multi-purpose coating. This waterless car wash first breaks down and suspends dirt and grime. 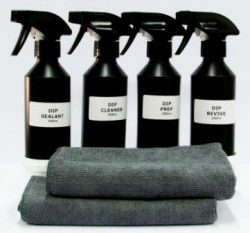 It then replaces it with a layer of macro polymers, leaving your vehicle clean and with long lasting protection. Perfect for matt finishes, standard bodywork and glass. 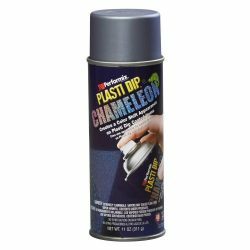 This pre-dip spray aids bonding of Plasti Dip, preventing undesirable bubbles and unwanted lift, offering you perfect dips every time! 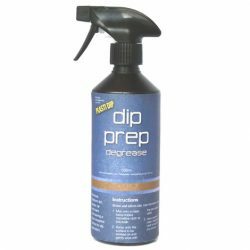 Dip Prep uses biodegradable surfactants which are strong enough to break up & lift away heavy dirt film, grime & debris, also gentle enough to be used on fabrics and carpeting to remove any stains, grease and dirt. 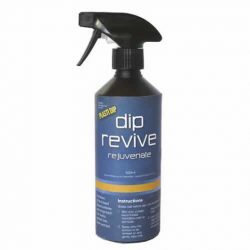 Dip Revive is specially formulated to refresh aged Plasti Dip to a freshly applied look. A sophisticated blend of emollients and gloss agents to leave your dip with a long lasting satin smooth finish. It helps protect the environment and your dip and it does not contain any petroleum solvents or hazardous chemicals. It is suitable for plastic and rubber trim as well as tyres. The perfect product for dipped wheels as it can clean both the dipped wheel and treat the tyre surface with one application. 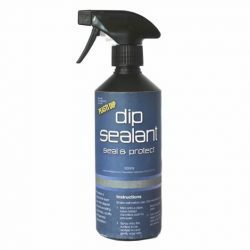 Dip Sealant is specially formulated as a polymer surface sealant and depth enhancer for use with Plasti Dip multi-purpose coating.When used to treat a cleaned car, it immediately gives a fresh, slick look. The new Reactive Polymer Technology begins to cure providing a long lasting, protective, detergent resistant coating, with outstanding slickness, curing and hardening over the next 24 hours. 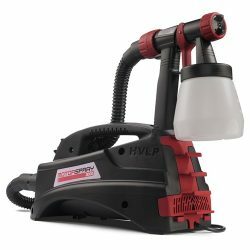 The Earlex MS3000 MotorSpray has been designed so it is simple to use and provides professional results every time whether you are a first time user or a professional.